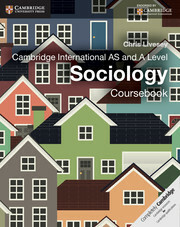 This revised set of resources for Cambridge International AS and A Level Sociology syllabus (9699) is thoroughly updated for the latest syllabus. 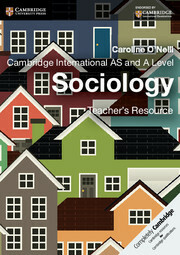 This set of resources for the Cambridge International AS and A level Sociology syllabus (9699) is carefully crafted to provide comprehensive support for the revised syllabus for first examination from 2015. Endorsed by Cambridge International Examinations and produced by Cambridge University Press, you can be confident that this teacher support will include everything you need to support your students. This teacher resource includes questions and activities (worksheets) for each chapter as well as extra teaching ideas offer help with lesson planning. In addition there are answers to all Exam-style questions in the book.Mac users please note that CD-ROMS don't autostart when used with Macs they will need to be started manually. If you have any queries please visit our customer support page or contact customer services. Additional questions/activities (worksheets) for each chapter save precious time in preparing and setting homework. Extra teaching ideas offer help with lesson planning.